If your Kitchen Tap is dripping where the spout meets the base of the tap then usually a new set of O Rings should fix this problem. 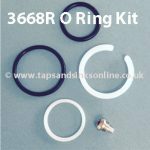 Please note that although we supply the complete O Ring Kit including white (plastic) O Rings that the manufacturer puts on your Spout, usually only the black rubber O Rings need to be replaced so you should just replace these first as per below and see if Tap is working fine i.e. don’t replace the white PTF Rings on your own spout unless damaged / broken as they are unlikely to require replacing even though they come with the O Ring Kit that you have purchased from us. If you do need to replace the white plastic O Rings, please ensure that you replace exactly in same position as before. e.g. if there is a gap / split in the White O Ring, this is to allow the grub screw to be screwed back in after and therefore it needs to be put back in the exact same position as was there originally. If your O Ring Kit has surplus O Rings, don’t worry. Some of our Kits cover more than one Spout from the same manufacturer so just replace like for like. Tip: Take a picture of your own O Rings on your Spout before removing / replacing , to ensure that you replace like for like. Pull the spout out of the body of the tap. Depending on the age of your spout it might be stuck. You need to be over the sink i.e. standing on something to lift it straight up as distinct from pulling it towards you in any way. We recommend that if you have difficulty removing the Spout after unscrewing grub screw (if there) and undoing ring (shroud / locking nut) if there and it still won’t come out you would be better off calling a plumber to prevent you damaging your Spout. Gently push the spout into the body. Care must be taken when reinserting the spout into the body to ensure that the grub screw is located in the split of the white PTFE ring (where Grub screw is present). Where no Grub Screw present care must be taken to ensure that the black o rings remain in correct position because if they move your tap will continue to leak from this spot. Here is our UK Kitchen Taps Troubleshooting Guide that deals with the most common problems. 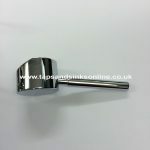 Usually if your Tap is leaking at the handle then it might indicate that you need to replace (as its not a new tap) the valve, brass bush or both. Here is the link to where you will find all our Franke Eiger Kitchen Tap Spare Parts. I have a Lamona Garda tap which is leaking where the spout meets the base. It only leaks when using the cold water so do I need to replace the cold water valve? Am I wrong to discount the O ring as faulty as it doesn’t happen when using the hot water? 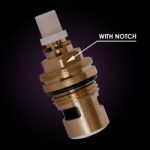 that you purchase both spare parts i.e the O Ring Kit and the Cold Valve – and it might be useful to see if you can remove your Valve without the Brass Bush, i.e. if the Valve comes out stuck inside the Brass Bush, then you might need to replace this too, which you can buy here. Hi , I have the Carron Pheonix Opus and the spout has gone very stiff to move. Hi Peter you could try TTOil – just try a tiny bit at the back first to ensure no discolouration but that might help penetrate as the shroud must be stuck with minute debris in water over the years. As a last resort you could try wrapping a cloth around it to protect it and using some kind of vice grip to turn it but be careful not to mark / damage it. I have a franke olympus tap which was leaking between the base and the spout. I replaced the o rings , but now the spout keeps popping out when i turn the tap . if you have replaced the O Rings and the Spout keeps popping out that means that you either haven’t replaced them correctly or that you haven’t fixed back your grub screw (or both). Hi Sue, mostly you just need to change the black o rings as these are usually the ones that require replacing first. The small o ring that you refer to is the one that goes at the very end of the spout. If your tap is working and not leaking having replaced the other o rings, then I would not do anything further with it. Thank you very much for your reply. Tap not leaking since change of black o rings, glad to hear other white o ring surplus to requirement. Thanks once again. hi, I have a 10 year old rotaflow looking franke tap. The valve turns 2 revolutions not ceramic. can I use the current rotaflow O rings kit and use new ceramic valves? If so which valves? is this old tap still a rotaflow or another model? Dear Graham the Rotaflow Tap has a compression valve i.e twist turn (it is not a quarter turn valve). Here is the link to the Valve if your Tap is dripping from the Spout or leaking from the handle, that you need Franke Rotaflow Tap Valve 3768R (now renamed SP3768) and if your Tap is leaking where the Spout meets the Base you would replace your O Ring Kit, Franke Rotaflow O Ring Kit 1239R (now renamed SP1239). There are guides on the parts themselves to change / replace the parts. I have a Franke Zurich mixer tap and the spout has gone very siff i have purchased the o ring kit and silicone grease.How do i get the spout out the collar unscrews about 3mil then what do i do. 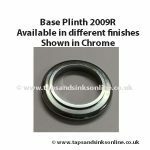 HI Dave, here is our link to the Franke Zurich Tap O Ring Kit 1239R and within the Product link there is a link to our Blog Guide How to replace a Kitchen Tap O Ring Kit that should answer all your queries. All our products on our website have guides as to how to remove and replace the old product with the new product purchased from us. Hi Dave, it woudl be extremly rare that you would need to replace your White O Ring. I dont know the reason why you replaced your O Ring kit in the first place but if you now have a drip then I would recommend that you remove spout and check the positon of the O Rings as there should be no drip if they have been replaced correctly. You could also try and use any type of grease / lubricant of the non-rubber perishable type that you could purchase in any local merchants / garage. I have a Franke Rotaflow Mixer tap leaking where the spout meets the main body. Is it really necessary to turn off the hot & cold water supply to change the rubber seals or can the job be done without turning them off. You could do it without turning off the water, but if you accidentally turn a lever / handle you will have water everywhere. Thats the only reason why you would turn it off. Hi, firstly thanks for the really informative website. My mixer tap leaks between base and spout when the spout is lifted up, or down, I.e if filling a kettle etc, otherwise it never leaks. Does this sound like an o-ring replacement is needed. Any help gratefully appreciated! It could be the O Ring but equally could be the cartridge itself. HI Xander’s Dad – I am not sure what you mean by the Spout being lifted up or down – do you mean the handle ? as Spouts only move from left to right and back again. Usually though if a Tap leaks where the Spout meets the Base it would point to the O Rings needing to be replaced. I want to replace the O rings. Hi Brian, this Blog Post here : How to remove a Kitchen Tap Spout should answer all your questions as it takes you through each step in detail but please come back to us if you still have any queries. I have fitted 2 new black O rings to my kitchen mixer tap as it was leaking from the swivel joint. The leak has stopped BUT the spout is stiffer to turn than before but tolerable. I did put Vaseline on the new O rings. Will the spout and new O rings wear in over time so the spout turns more freely? Hi Dan, did you purchase the O Ring Kit from us as I could check to ensure you purchased the correct one for your Tap ? The spout should move correctly if the correct O Rings are fitted in the correct way. You should NOT use vaseline as that will cause the rubber to perish. You should only use some form of grease that does not affect rubber. I have a Pegler kitchen mixer tap that is leaking at the point where the spout meets the base. Do you sell a suitable o ring set for this tap? HI Howard, i would need to know what markings are on you valve and which Pegler Tap before I could try and assist you any further. Im sorry but we would not have parts for these taps. I have an Abode Atlas Single Lever Tap with water weeping out between the spout and main body. Is it possible to change this seal? I cannot see any retaining grub screw but don’t want to use too much force to remove it. I presume the O-Ring Kit 1425R is for this purpose? Your Tap should have a grub screw. It is possible that it is covered over with some debris / dirt and you cannot see it but it would be located in the back of the base. Try checking with small mirror and camera light to find it. 1. Loosen grub screw on the rear of body using a 2.5mm A/F allen key. 1. Pull the spout vertically away from the body. 2. Remove the old o-rings using a small screwdriver or similar. 3. If worn, remove the white PTFE spacers. 4. Ensure the inside of the body and the spout base is clean of dirt and grit with a soft wet cloth. 5. If required locate the new white PTFE spacers. 6. Carefully locate the new O-rings onto the spout base (A4). 7. Grease the O-rings thoroughly with silicone or alternative similar grease (that will NOT cause Rubber to perish – do not use vaseline for example). 8. Reassemble the tap in the reverse order. Gone to change the black O rings as it’s leaking at the bottom of the spout and noticed a small hole in the metal under where the o ring sits….. should this hole be there?? Hi, i have a Franke Olymous tap. I had a leak between base and spout so changed the black O rings and white split ring. I didn’t use any grease. i’ve put it back together and the leak is now worse than ever ??? I’ve taken it out and refitted it a few times but no change. how old is your Olympus Tap please. And in the meantime, wrap a towel around it. I can’t see any order from you so i don’t know if purchased the O Ring Kit from us ? and thereby, until I know that you got the correct O Ring Kit in the first place, I can’t advise further, as I don’t know what part you bought. I have a Franke Danube kitchen mixer tap and the chrome plasticised collar where the tap meets the sink unit is breaking into small pieces. I would be grateful if you could assist me in what would be the best way to repair or is it too late to repair. I’ve just received an o ring replacement kit for the Franke Olympus tap. The kit has two nylon split rings as well as the rubber o rings however my tap appears to have space for the top white nylon ring only. It seems to work OK with just the top nylon ring but is this normal? Hi Phil, it depends on the age of your Franke Olympus Tap. The O Ring kit that we supplied you is the current one. This Tap has been modified over the years and that is why we also include an additional different sized grub screw (for earlier models). Feedback from customers with Olympus Taps dating back to 2006 tell us that the older O Ring kit was a little different. So while it works, depending on the model, you might have surplus O Rings. All we can get is the current 1425R kit from the manufacturer. So once it stops the leak, then you are fine ! OK thanks for the super quick reply – yes the leak had been fixed I just wanted to ensure I wasn’t missing something.